This is a concrete or visual poem. The shape tells us something about the subject of the poem. 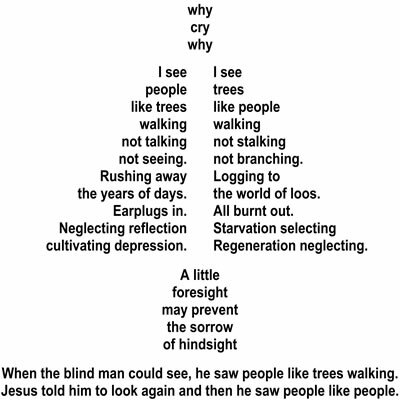 The visual content of the poem is a "tree" but look again and what do you see?